Natural-looking brows ruled the spring 2015 runways. 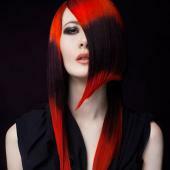 Think the look isn't for all of your clients? Think again! We'll show you how to cultivate their brows to look their bold and beautiful best - and how to teach your clients the art of brow maintenance! Nothing frames the face quite like eyebrows. Change the brows and you change the overall look! But as of late, brow trends have been leaning in a new direction, as indicated by the spring 2015 runways: as little change – or brow maintenance -- as possible. Dark, bold brows strutted the runways and conveyed an air of serious fierceness. But of course, not all women are blessed with Cara Delevingne’s naturally bushy brows. When your client comes in asking you to take her brows from flimsy to fabulous, you’ll have to inform her that it’s not something you can do in a single visit. But she can begin taking steps to regrow her brows, and once they’ve been restored to their natural fullness, that’s when you can help her achieve the desired shape. Tell your client that for the next few weeks, she needs to hide the brow scissors and tweezers in a place where they won’t tempt her. Instead, she’ll let her brows grow in. 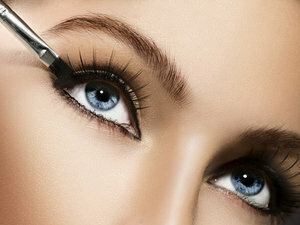 Instruct her to follow the below four steps, and she’ll be on her way to natural-looking and fabulous brows. 1. Put down the tweezers! Avoid plucking any hairs that are about two rows below and above the brow. If she must, she can clean up any major stray hairs outside those areas. 2. Ditch the scissors. If she really needs to trim, she should only trim any extra-long hairs at the front of the brows. Longer hairs from the arch toward the ends actually create a thicker feel to the brow, so she needs to leave them alone. 3. For maintenance, she can brush a clear brow gel through the hairs and use a spoolie to brush hairs upward. She should only apply a brow pencil in sparse areas – but let her know to avoid a pencil that’s too dark, as it can look heavy and unnatural. Instead, she can opt for a pencil that’s one to two shades lighter than her natural color. 4. After several weeks, her brows will have grown in enough to begin looking a bit messy. This is when she need to enlist a pro: You! You’ll show her which hairs to keep and which hairs to pluck. Make sure use tweezers, pulling out only one hair at a time. While waxing and threading are very effective, they’re almost too effective; since they remove hairs by rows, they can end up pulling out too much and making her brows look overdone. Brow Ow! Is Your Brow Salon Sanitary?